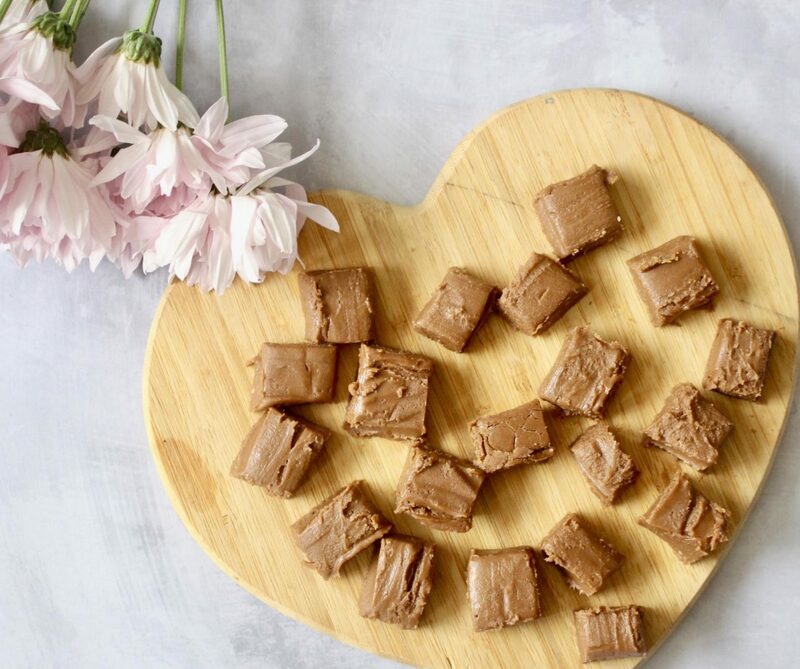 Mother’s day is fast approaching, a day of spoiling all the lovely mums out there will soon be upon us and today I am sharing with you some super quick and delicious recipes courtesy of Aldi. I love Aldi and have been a regular shopper there for years. It just can’t be beaten on price and quality. I was more than happy to pop in to store this week and recreate some of their fantastic recipes. One thing I love about Aldi is they always have everything you need, there is never a ‘we’re out of stock’ issue! These are amazing! I am a huge hot cross bun fan so I knew straight away I wanted to give these a try. 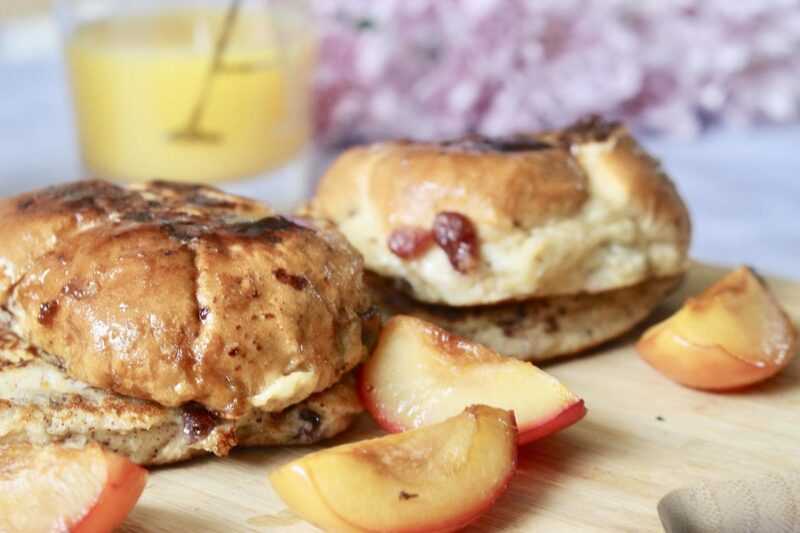 The sweet baked plums with the contrasting cinnamon soaked buns is just so delicious. I think ill be making these everyday not just for Mother’s Day. 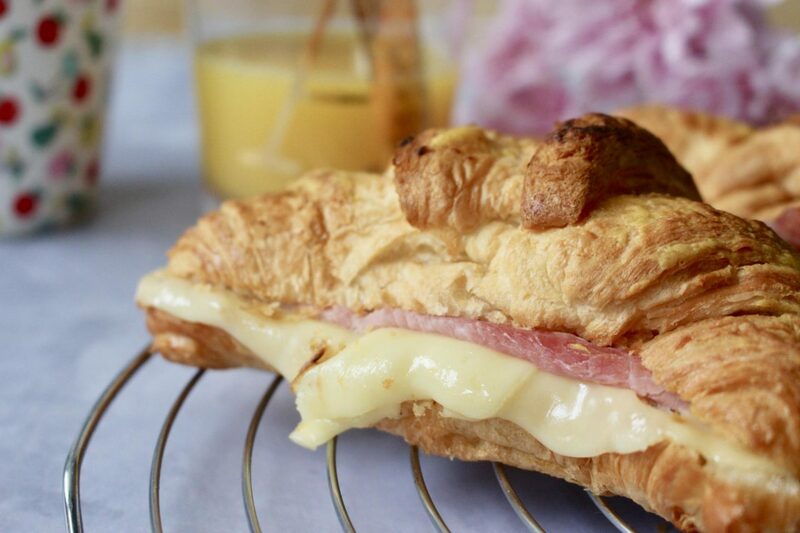 Put a slice of cheese on the base of each croissant. Divide the ham between the croissants. Top this with another slice of cheese. Put the tops on the cheese. Mix together the mustard, honey and brown sugar. Brush this over the tops of the croissants. Bake in the oven for 10 minutes, until golden. A super quick and easy to prepare option is great for brunching. The Dijon mustard gives these a delicious little kick! The last recipe I am sharing doubles up as a great gift idea too it’s..
20 x 20 cm deep tin, the bottom lined with non-stick parchment. Cut up the butter into small chunks. Put the brown sugar, milk and the butter into a saucepan and gently heat until the butter and the sugar have dissolved. Boil hard for 2 minutes, stirring as you cook. Take the pan off the heat and add the Nutoka and the vanilla essence, stirring well until melted. Add the icing sugar and beat well. Pour this into the prepared tin and allow to cool and chill for a couple of hours. For gift, cut a small square of parchment paper and place into the gift box. Then when the fudge is cool place them in the box. Alternatively add them to a cellophane bag and wrap air tight with ribbon so they stay fresh. Perfect for a nice little dessert with a cuppa or boxes up as a gift. 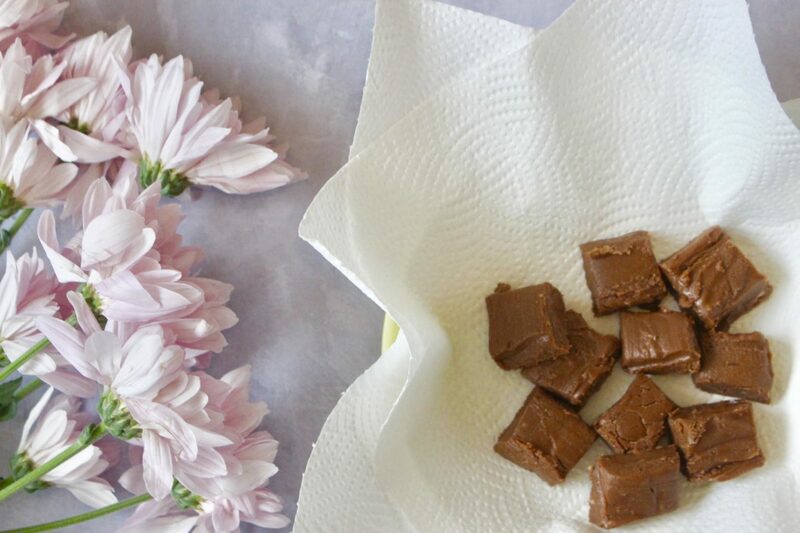 A really quick and simple fudge recipe that the kids haven’t been able to keep their hands off! Loved creating these brunch dishes and it just goes to show putting on a spread needn’t cost the earth. There are so many more recipes available over on the Aldi website that you can check out here. That looks so good! I love that you got everything at Aldi. That’s my favorite store. These are great recipes for brunch! I’ll have to bookmark this page for the future! Those hot cross buns looks perfect! Would love any of these dishes for Easter or Mother’s Day brunch! 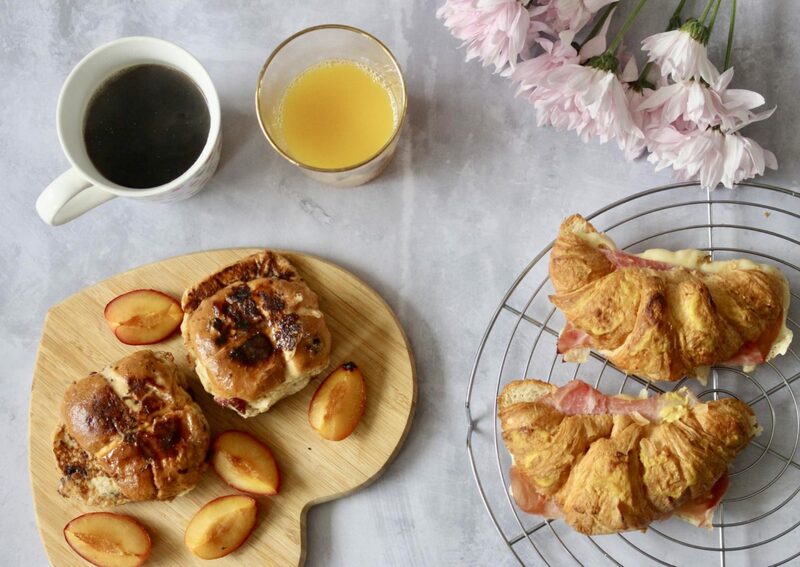 This is quite literally the picture perfect mother’s day brunch! Bravo to your family for setting it all up! yep, I am sharing this post with my hubby. Maybe he will make it for me for Mother’s Day and offer breakfast in bed!! This croissant is made in heaven!!! It looks so delicious omg. And the Nutoka Fudge yesss. Thank you so so much for the recipe. 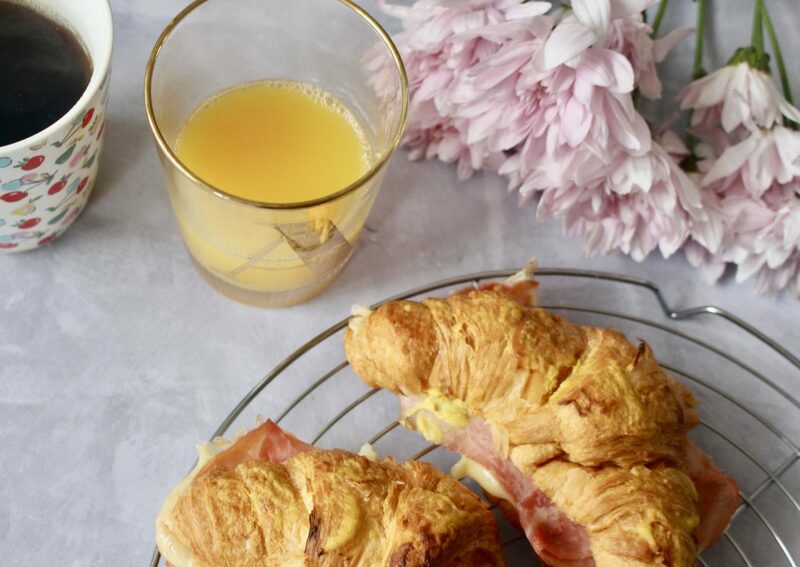 Those ham and cheese croissants look delicious! The mustard glaze is a nice touch. I don’t need to wait for Mother’s day. This can be eaten almost every day. Great snacks! I love Aldi as a supermarket and your idea I have to copy it to make a nice present and surprise my mom! I’m such a fan of brunch. These dishes look so delicious! I’d love to try them all. I am definitely going to have to show these recipes to my other half and kids – here’s hoping I’m surprised with some on Sunday! OMG Can I just say, I can’t help but drool over the picture! Who would not love to taste this! I’ll be printing out your recipes so I can try making this out over the weekends. Perfect brunch to savor. Any day can be special with such yummy treat. Aldi is such an amazing store and they have some of the lowest prices I have ever seen. This is a great way to get the items you need to make that special meal! I’m also fan of Aldi! I love the dishes you prepared and gave me plenty of ideas for my next brunch!